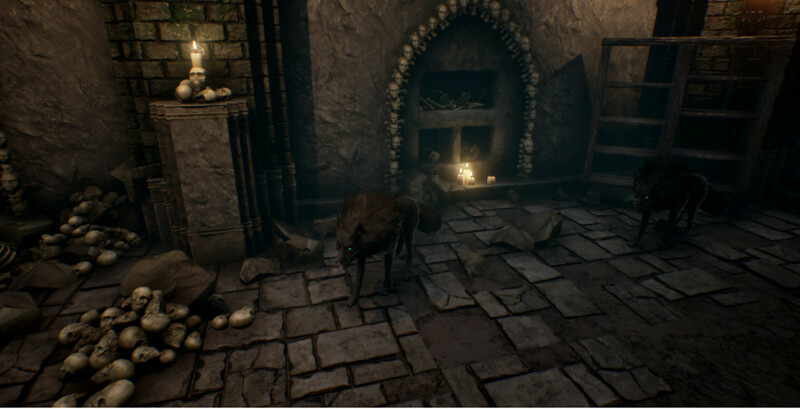 Review Fix chats with Luciano Iurino, Tech Artist / Programmer @Troglobytes, who discusses the developer’s new game, “Tenebrae – Twilight of the Gods.” Fueled by a love of ‘80s and ‘90s games, it’s a modern-day tribute to some of your favorite games. Luciano Iurino: There are quite a few titles that inspired ‘Tenebrae’. Mostly, ‘80s/’90s era classics, such as Ghost n’ Goblins, Golden Axe, Rastan Saga. We can’t deny though that the major source of inspiration are old Metroidvania games. Iurino: We started being serious about this game’s development about 1 year ago; before that we were just working on a prototype and studying Unreal Engine 4. Iurino: We think that ARPG and Metroidvania lovers will really enjoy this game. If you’re in for some dungeon exploration and some RPG action, this game is for you! Also, if you like backtracking and ‘replayability’, secret stages and treasure hunting, you won’t be disappointed. Iurino: We’d like our game to be remembered as a whole, but we also like to keep our feet on the ground, so honestly we think most people will remember it for its huge and graphically detailed dungeons. We’d also like people to remember the storyline. We put a lot of effort into it, and we’re pretty much sure its twists and “WTF” moments won’t easily be forgotten! Iurino: We are currently working on a vertical slice of the game. Being indies and totally self-funded, it’s not been an easy road up here, so we’ll need to carefully plan a strategy for the rest of the development. Iurino: At this stage, we can’t really see anything else but our game and the huge amount of work that’s still to be done! There are plenty of ideas though, both for this game and other projects. We’ll see! Iurino: People, please give indie games a chance! It’s the future of gaming!